Early every Thursday morning (from 8 -11am) trucks loaded with gorgeous local produce roll into Byron Bay for the weekly Byron Farmer's Market. The fertile soils of the hinterland ensure an abundance of fruit and vegetables grow all year round. Take your basket along and be prepared to fill it up with plenty of fresh treats. 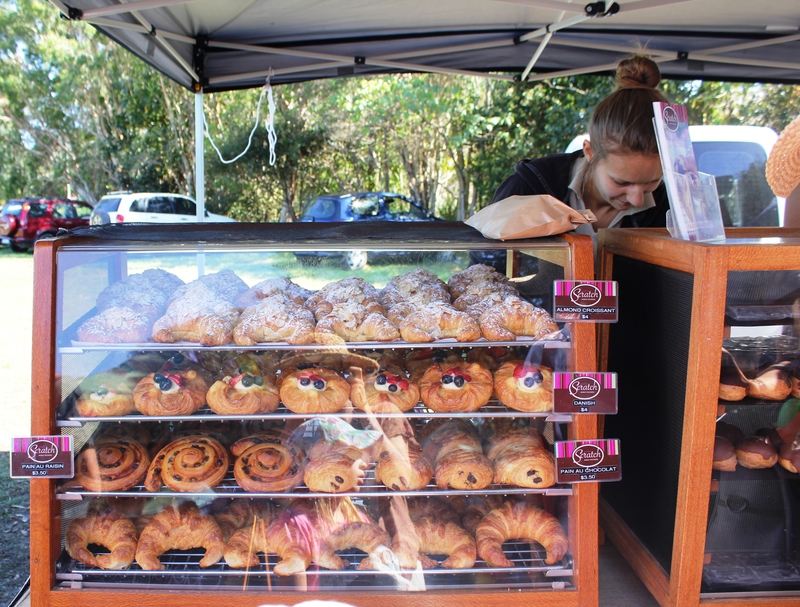 The first place we stopped was Scratch Patisserie (see photo above) at the beach end of the market, near the big fig tree. All their products (think croissants, danishes and profiteroles) are made from "scratch" using organic flour, organic milk and local free range eggs. The stall next door offers chocolate dipped strawberries, which the kids begged for. So we sat under the shady trees nibbling our breakfast, sipping local Myocum Coffee while listening to a very talented young busker, Mason Watts. All the stalls offer juicy seasonal produce which is very difficult to simply pass by. 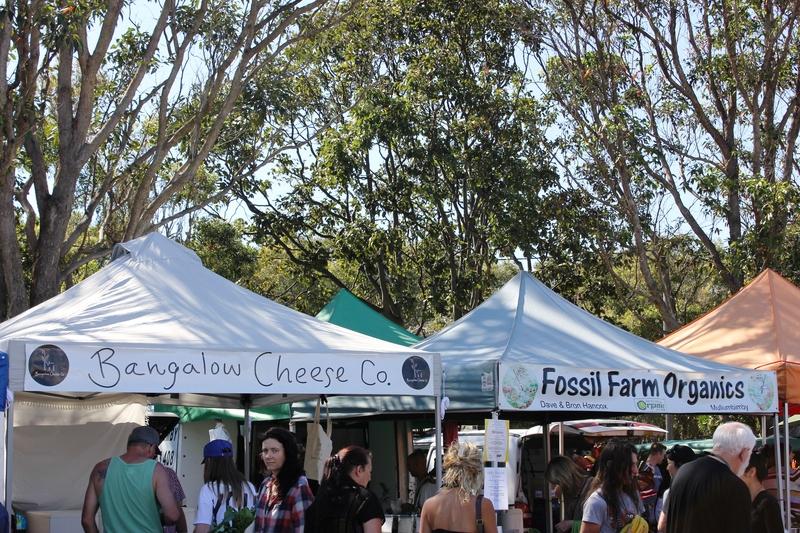 Hand made jams, Bangalow Cheese, marinated Summerland Olives, Nimbin Valley brown rice, and fresh sugar cane juice were just some of our other purchases. 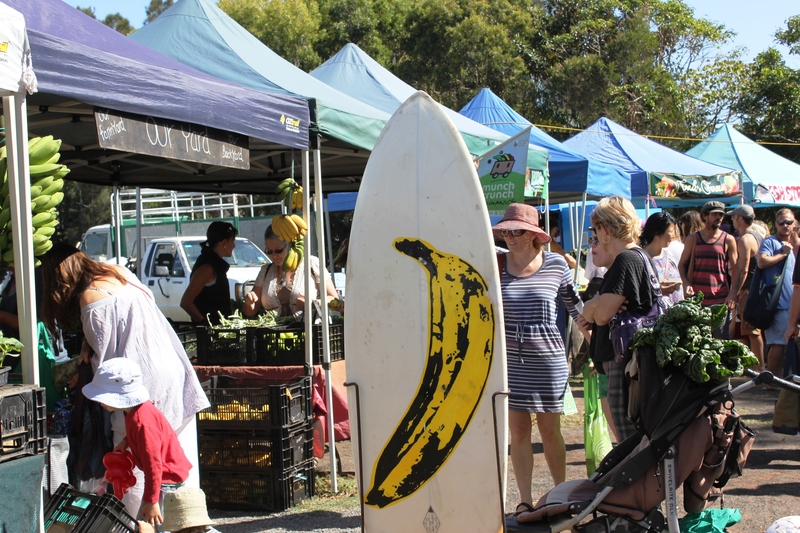 Apart from the food, the overall vibe at theByron Farmer's market is carefree and fun, with live music to keep everyone entertained. 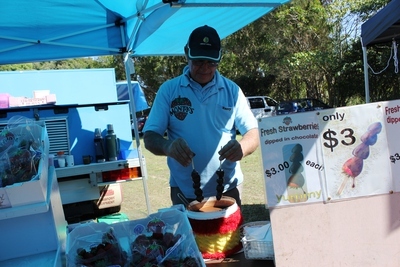 The same stalls can be found every Saturday morning (from 7- 11am) behind the Bangalow Hotel. So if you're in the Rainbow Region on a Thursday or Saturday morning, be sure to stop by.